Timing Belt Tensioner Kit + Water Pump for Magna TH TJ TL TW 9905 V6 6G74 3.5L. 41 Yarraman Place, Virginia QLD 4014. 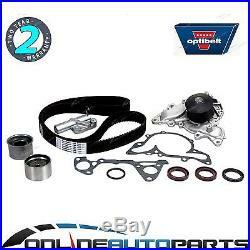 Timing Belt + Tensioner Kit + Water Pump - With Hydraulic Tensioner Reference: ZPN-05558. But fear not, we have created a table with more specific and relevant fitment information for you. This is a vehicle specific part, please make sure your vehicle is listed in our verified table below. Advance, Altera LS, Executive, LS Executive, Solara Advance, Sports, V6 Si. V6 6G74-S4 3.5ltr 3497cc. Advance, AWD, Commonwealth Games Edition Executive, Executive, i, Limited Edition Executive, Solara Advance, Sports, Sports AWD, V6 Si Executive, VR-X, VR-X Limited Edition. AWD, ES, LS, Solara, VR, VR AWD, VR Limited Edition, VR-X, VR-X AWD, VR-X Limited Edition. ES, LS, LS AWD, VR, VR-X, VR-X AWD. 1999 2000 2001 2002 2003 2004 2005. Item is dead on arrival or damaged. There is a manufacturing fault with the item. The wrong item was sent to you. Please choose your parts carefully and make sure you have your correct vehicle information. With any issues or problems prior to returning the item/s. With your co-operation we will work hard to resolve any issues quickly. Ask a question about this product. Link to formulate a question or check our FAQ. Or visit our store HERE. The item "Timing Belt Tensioner Kit + Water Pump for Magna TH TJ TL TW 9905 V6 6G74 3.5L" is in sale since Saturday, February 06, 2016.